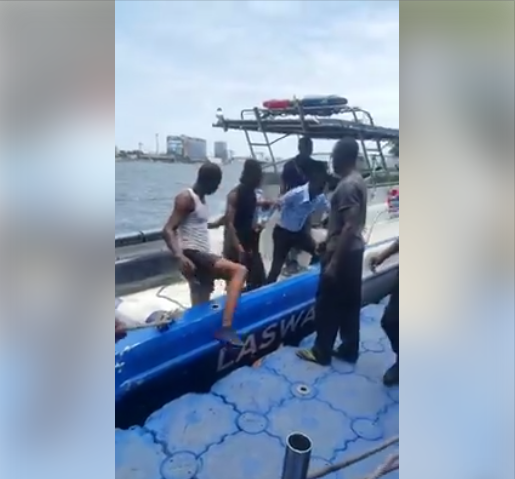 A Video is currently trending online showing the moment a young man was rescued and arrested after allegedly jumping inside a lagoon in Lagos in a bid to kill himself. Rescuers at the Lagoon were swift to rescue the troubled young man after jumping into the water. 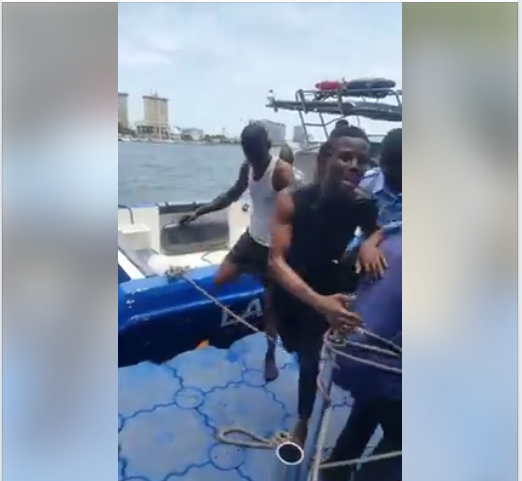 When he was being rescued and arrested, the young man (in black shirt) was shouting, ‘let me just die, you people should leave me alone, what is in this life’. He was later taken into custody by the authorities in order to determine what led to his suicide attempt and also prevent him from killing himself. 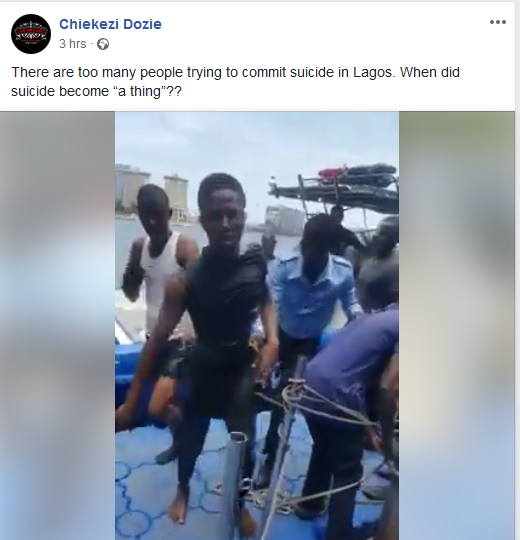 An eyewitness, Chiekezi Dozie shared the footage on Facebook as he wrote; There are too many people trying to commit suicide in Lagos. When did suicide become “a thing”? ?